John Chase was recently hired as the City of Sonoma’s new Building Inspector. 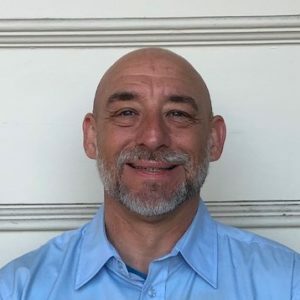 John has over 20 years of experience in building and associated trades and was last working as a building inspector for the City of Santa Rosa Resiliency Center in the fire recovery group. John is certified by the International Code Conference as a Building Inspector, Residential Electrical Inspector, Residential Building Inspector and a Commercial Building Inspector. His positive attitude and professionalism makes him a perfect addition to our building department team. John lives in Napa with his wife and three children and is a third-generation Napa Valley resident that enjoys spending time with his family, hiking, organic gardening, cycling, and other sporting activities. John says that he is looking forward to serving the community in a collaborative way and he believes that working for the City will be a rewarding experience.